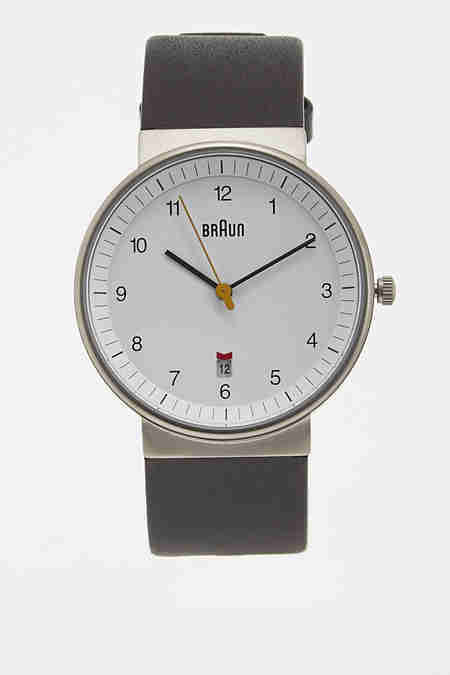 Braun, of precision electric razor fame, is also the home of handsome, minimalist watches precise enough to help you shave seconds off your day. 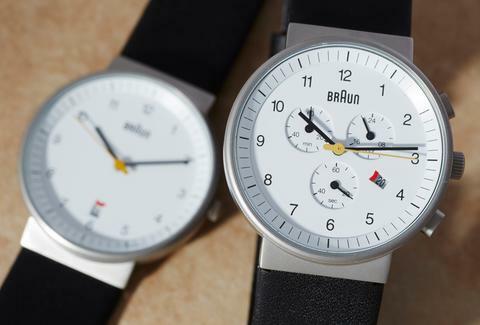 The slogan “less, but better," which Braun designer Dieter Rams took to heart with his functionalist timepieces, aptly sums up the appeal of Braun watches (and pool party attire). 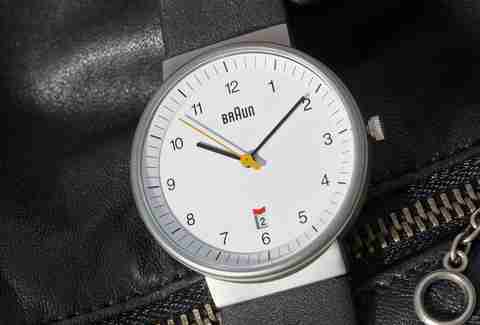 Braun was established in Germany in 1921 by Max Braun, and by 1971 released its first clocks; watches followed soon afterwards. These modern, streamlined pieces are designed so that unnecessary features and ornamentation play no part. 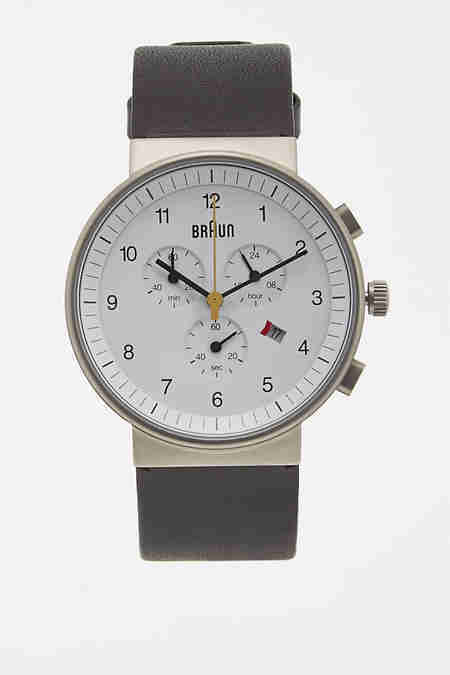 Here are two classic watches by Braun — a calendar watch and their award-winning chronograph. Explore the two designs below to find the best fit for your wrist. If virtue is its own reward, then this chronograph is the Honest Abe Lincoln of watches. This particular watch also has some solid award...up its sleeve. The honest, straightforward design has won two Gold International Forum product design awards (for superior value) and two Red Dot Design award honorable mentions. Even the Bermuda Triangle couldn't confuse a chronograph this simple and elegant. Piloting the Stealth B-2 Bomber? This chrono is easy to read, even in all black. Even aspiring supervillains need to tell time in style. 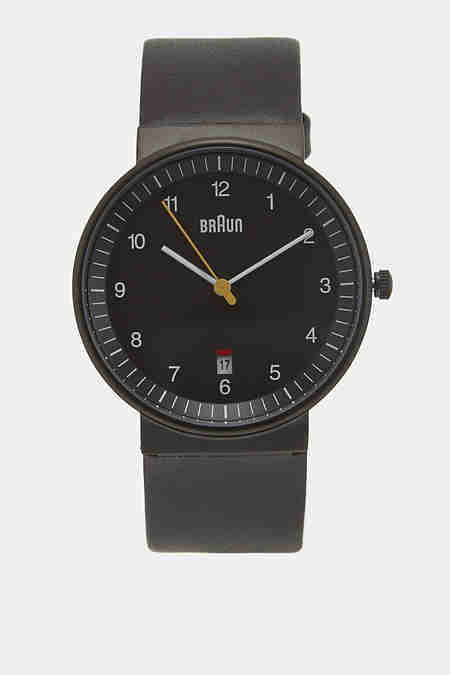 Clean looks and a fresh colorway make this calendar watch a breeze to read. This calendar watch is meant to tell the time and tell the date — nothing more. 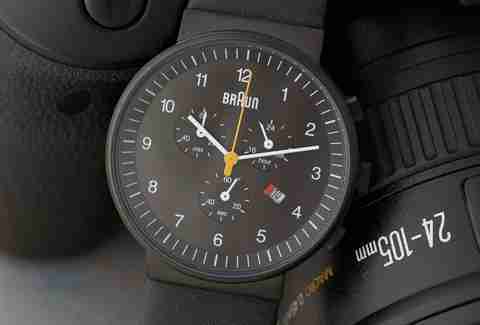 But like its chronograph sibling, it does so in the most handsome way possible. Our favorite detail on both styles is the bright yellow second hand — there's no missing it, even with a quick glance. Take a closer look at either watch and you'll understand why they're some of our favorites.